CRAZY COOL GROOVY!!! : #BLACKGIRLMAGIC #BLACKGIRLSROCK - ALEK WEK & DUCKIE THOT On PAPER MAG!!! #BLACKGIRLMAGIC #BLACKGIRLSROCK - ALEK WEK & DUCKIE THOT On PAPER MAG!!! 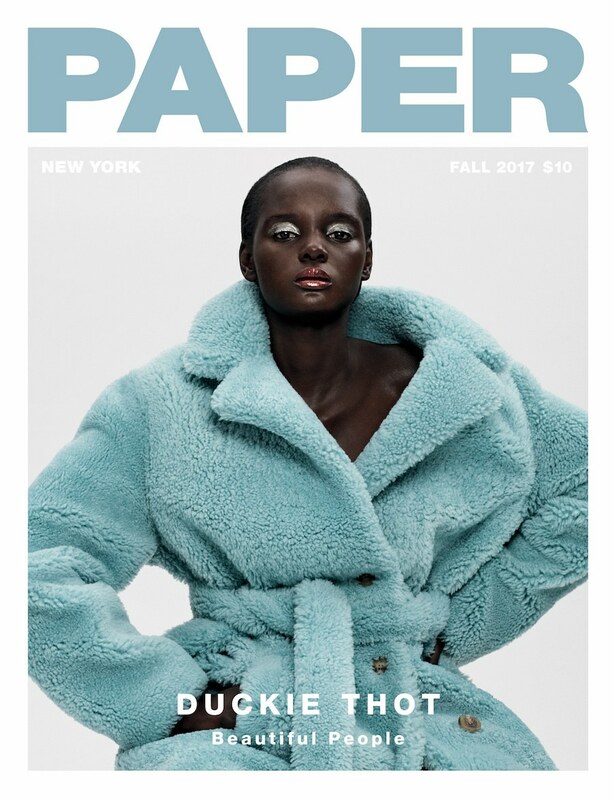 Chocolate-Covered Supermodels SOUTH SUDASN nativel ALEK WEK and SUDAN-descended MELBOURNE, AUSTRALIA-born NYADAK "DUCKIE THOT" THOT are two of the six Cover Stories for the Fall 2017 BEAUTIFUL PEOPLE Issue of PAPER Magazine!!! "Ellen shot me the first time I arrived in New York," Wek recalls. 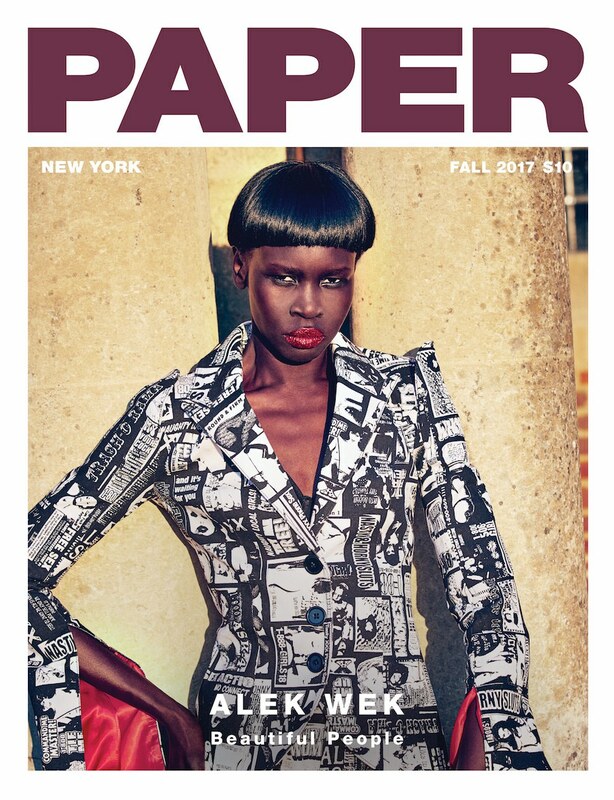 In those days, Wek remembers being the "literally the [only model] with my features from South Sudan on the runways." "The consumers are speaking up. If you're going to go buy something that doesn't represent you, I can't imagine you'd feel comfortable wearing it." "I haven't mastered posting yet. I don't know how to crop [photos] so I'm always like, 'Go back! Go back!' It's so foreign to me." She is particularly dismayed with how people "manipulate with Photoshop" to "make themselves look completely different than they do in person." "If you mislead people" to get a "hit" (or "like") on social media, Wek says, "you're not going to be trusted, and it's not real. You're kidding yourself. You might as well focus your energy on putting something out there that's exactly who you are. The hits don't make you who you are," she says. "You are the hit." "Uh-huh, no I didn't. I knew I wanted to be a model before that show, and I knew I wanted to be a model after I did it." She follows this declaration with a pause, and then, through intermittent laughter, jokes, "Duckie learned! Duckie taught herself!" "I literally got nothing. I didn't understand why, but I wasn't getting any work. I think it was a very confusing part of my life for me. I was just this little [black] girl in Australia just being like, 'Oh yeah, I want to do modeling,' but [while also] being in a country that doesn't promote black models. It was kind of like a mindfuck all in itself anyways, so I didn't really get how far I was going to go with it." "When I was meeting with Tim [Walker], we had coffee -- so it wasn't the usual standard model booking. He pulled out this big thick book of all his ideas that he had scrapped out. I don't even know for how long, but it was a huge mood board. With the way my mind thinks, and the way he was really explaining what he wanted, [it] made me want to get that booking even more. He just had this vision that nobody has ever had before, and he was running it all by me. I loved that. When people run things by me and talk to me, that's a whole different side of Duckie. That's when my creative side comes out." "I'm not giving away my secrets because I have plenty of things to come. I'm sure you'll be shocked by what realm Duckie ends up in next. It will throw people off. I think it's going to add something completely different to my character.Modeling is not the full stop for Duckie."